People enter inpatient rehabilitation centers after completing a medical detoxification procedure from a detox facility. Inpatient Rehabilitation is the next phase of substance use disorder treatment. Inpatient substance use rehabilitation centers focus on stabilization, acute care issues, co-existing medical conditions that need immediate attention. Not all people that enter a medical detox facility will need inpatient rehabilitation centers. Some people will move from medical detox directly into residential treatment. Summer Sky Inpatient Rehabilitation Center offers individuals and their families all levels of care in one convenient location. 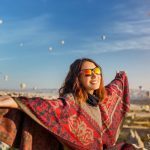 This helps lessen the stress associated with finding an appropriate treatment center that can deal with all aspects of substance use problems. Summer Sky is a full-service alcohol and drug treatment center that offers medical and therapeutic services. The good thing about seeking help from an inpatient rehabilitation center is that the facilities that offer this level of care have 24-hour medical supervision on-site as well as nursing care, medical doctors and addiction counselors. If a program does not have these staff members, then they are not offering inpatient rehabilitation services. Inpatient treatment is a specific licensed level of care in the State of Texas. You can only offer this level of care if you are licensed to offer this level of care of treatment services. It is a common misconception in healthcare that physical rehabilitation services and inpatient rehabilitation services are similar. They often use some similar language, but they are not related in any stretch of the imagination. Physical rehabs involve care associated with helping people with physical issues after a surgery or procedure by a hospital or doctor. However, inpatient substance use rehabilitation centers focus on helping men and women who are dealing with medical and psychological issues related to alcohol and drugs. What Treatment Services Should You Call for Help? Summer Sky Treatment Center is staffed by admission specialist 24-hours a day who are available to answer your questions about alcohol and drug treatment services. 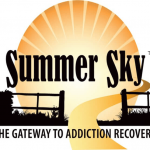 Summer Sky has been helping men and women since 1985 find alcohol and drug treatment. If you are not sure which program service would be a good fit for you, then call our admission specialist, and they can help you figure out what level of care is a good place to start with treatment. You can contact us at 1-888-857-8857 24/7. The first step in receiving help for an alcohol or drug problem is the screening procedure. Substance Use Rehabilitation Programs will screen a person to make sure they are appropriate and eligible for admission into their program. This is a good process for you and the treatment center because it is important that the individual is placed in the right level of care of treatment services. The screening process will involve an evaluation of psychological, social and physiological signs and symptoms of alcohol and drug use. If a person is appropriate and eligible to receive treatment services, then they will are scheduled for admission. If they are not eligible, then an appropriate referral will be given to the individual. Inpatient Rehabilitation Centers are great for helping people deal with coexisting conditions that exist with a substance use disorder. There are thousands of other possible health-related issues that may coexist with a substance use disorder, and this is one more reason why an inpatient rehabilitation center is better equipped to deal with both substance use and coexisting health-related issues. Most coexisting conditions are (medical, psychiatric, physical, etc.) in some cases even an inpatient rehabilitation center may need to refer an individual for additional professional assessments and/or services while in inpatient care or residential care. Inpatient rehabilitation programs focus on helping men and women with substance use problems, and co-existing medical issues stabilize so that therapeutic services can be utilized to deal with a person’s substance use problems. These rehabilitation centers help a person that needs to become restored to a healthy balance after a person is medically stable from a detox center. Medical detox is the first requirement of treatment before inpatient rehabilitation can be utilized as a treatment option. When it comes to substance use disorders an inpatient rehabilitation center is a place where people live in the facility while they receive rehabilitation treatment services. 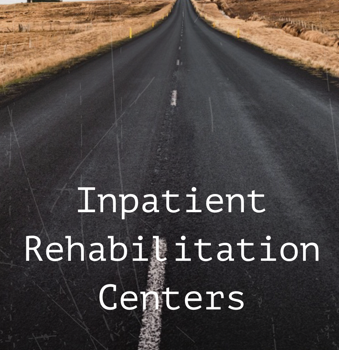 Inpatient Rehab is short for describing inpatient rehabilitation, and it encompasses a wide range of rehabilitation service at one location. Normally people that attend an inpatient rehab live at the rehab while receiving therapeutic services. Both Rehabilitation or rehab mean the exact same thing. However, when you include inpatient rehabilitation, you are implying a place where you live or stay overnight for treatment services. People that have a substance use disorder can benefit from attending an alcohol rehab or drug rehab. Drug Rehabilitation Programs are designed to help men and women with a substance use disorder become free from addictive substances. Drug rehabilitation centers offer a place of healing physically and mentally while learning techniques to stay free from the substance. Relapse prevention planning and training are important to learn in drug rehab. Alcohol rehabilitation programs specialized with people that have problematic patterns of alcohol use that have led the individual to physiological and psychological impairments. Many of these individuals have found themselves drinking alcohol in larger amounts or drinking for longer periods of time than the individual intended. Alcohol Rehabilitation Programs deal with alcohol use disorders, alcohol intoxication, alcohol withdrawal, and other alcohol-induced disorders. Opioid Rehabilitation Programs focus on helping men and women who have an opioid use disorder. These individuals usually take larger amounts of opioid substances or take in a larger amount of substance for a longer period than they intended. The Opioid Use Rehabilitation Center will help the individual physically go through the medical detox phase and then address psychological issues related to opioids. Addictive substances come in many different forms and alcohol rehabilitation, and drug rehabilitation programs all work to help men and women become free from addictions. When a person is addicted to a substance, they are caught in a persistent cycle of physical and psychological discomfort. Many people feel trapped by the addictive cycle of using the substance repeatedly even though they can admit that using the addictive substance is causing negative results. Some addictive substances are legal, and others are illegal substances. When you are addicted to a substance, it does not matter that the substance is legal or illegal the same amount of pain comes from being addicted to the substance. Once you become addicted, then you are addicted and asking help from a substance use rehabilitation center is a logical idea to stop the addictive cycle of addiction. Do you need help for an alcohol or drug problem? If you or a loved one need help to find an inpatient rehabilitation center, then you have come to the right place. Summer Sky Inpatient Rehabilitation Center is one of the State of Texas Best Inpatient Rehabilitation Centers. Summer Sky is located 60-miles southwest of Ft. Worth, Texas in a small rural town called Stephenville, Texas. Summer Sky has a full-service Medical Detox Facility, Inpatient Rehab, Residential Rehab, Partial Hospitalization Program (PHP) and Intensive Outpatient Treatment Program (IOP), all at the Stephenville, Texas main campus. Summer Sky Dallas Intensive Outpatient Treatment Program is in Addison, Texas. People from all around Texas and the United States utilize the Summer Sky Inpatient Rehabilitation Centers. People living in Abilene, Austin, Arlington, Dallas, Fort Worth, Houston, and San Antonio come to our treatment programs monthly. If you need transportation to our alcohol and drug treatment programs, contact our admissions specialist, and they may be able to help arrange transportation to our treatment program. To discuss treatment options contact us at 1-888-857-8857.